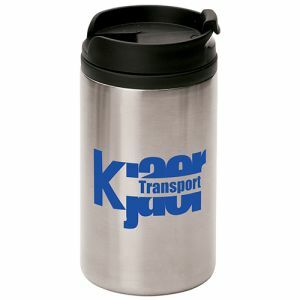 Branded Metal Travel Mugs are versatile promotional giveaways to suit all customers, from the commuters to the students to the tradesmen who work outdoors. 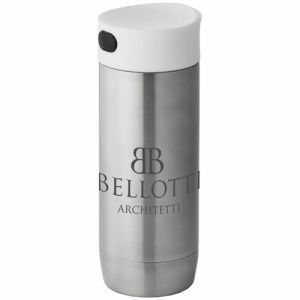 These corporate travel mugs are more hard-wearing than their plastic counterparts. 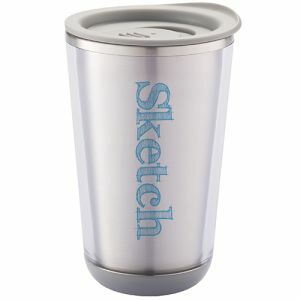 Some designs even help to maintain the temperature of the drink inside for longer. 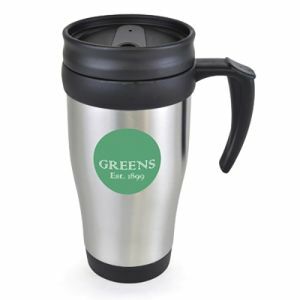 Their reusable nature will also help to reduce the need for disposable coffee cups, as your customers can simply fill with their own coffee from home or the office, or even from most take away coffee shops. 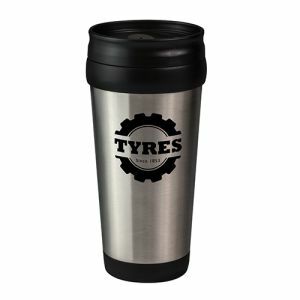 Print or engrave any of our promotional metal travel mugs for a mobile branding opportunity with guaranteed use, guaranteed to let your customers enjoy their favourite brew wherever they go. 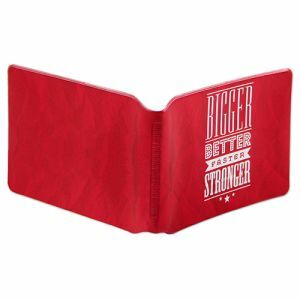 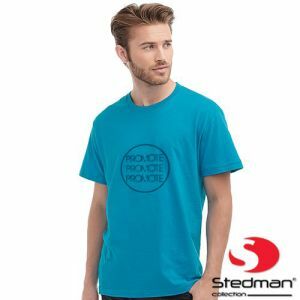 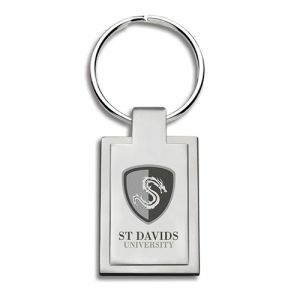 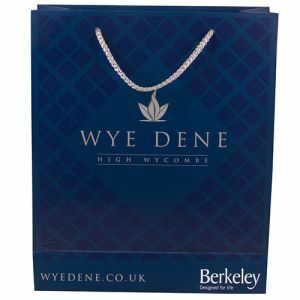 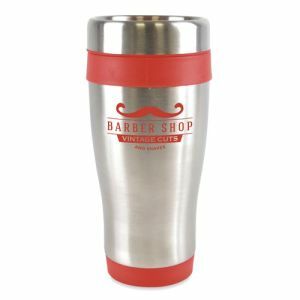 With the growing choice of promotional merchandise available today, it can be hard to identify the corporate gift or giveaway that could most benefit your marketing campaign. 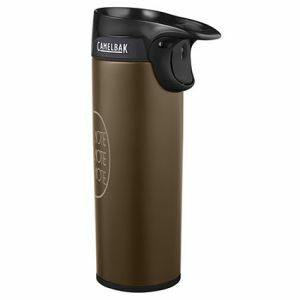 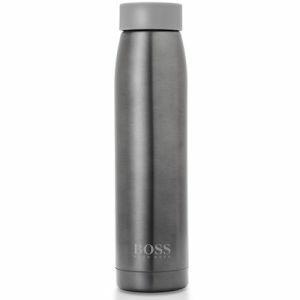 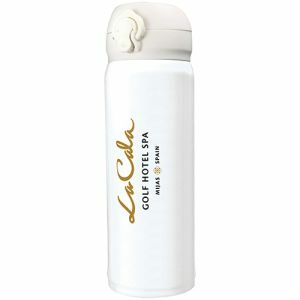 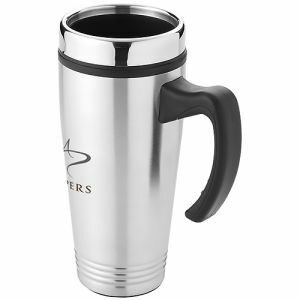 Branded metal travel mugs are hardier than most business gifts, often with high-perceived value but actually available at comparatively low prices. 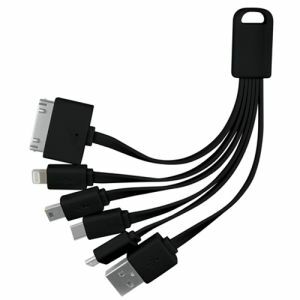 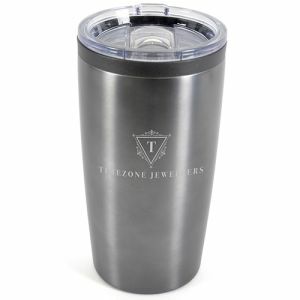 Their reusable and long-lasting design also means a greater return on your investment. 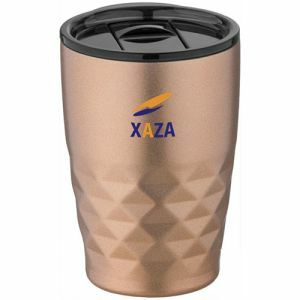 Most of our promotional metal travel mugs can be printed, however, in most cases, their metal surface is designed to be engraved with your company logo. 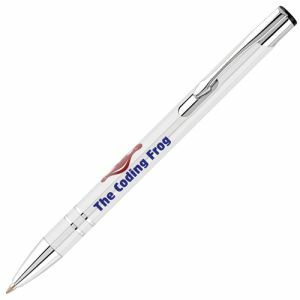 This method could further extend the advertising life of your brand name, on the go, everywhere, everyday, for years to come. 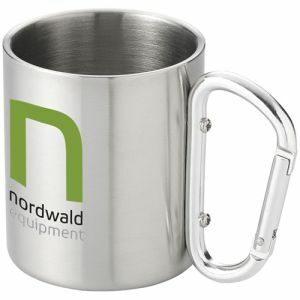 Where standard mugs can smash on impact or plastic mugs can be dented or crack, these should withstand the general wear and tear of your customers’ busy lives and so should your corporate design. 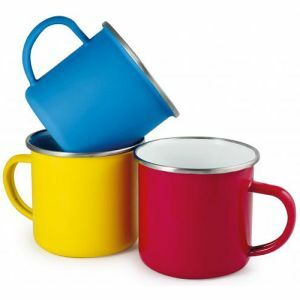 Research has shown that in the UK alone, people drink around 70 million cups of coffee and 165 million cups of tea each day. 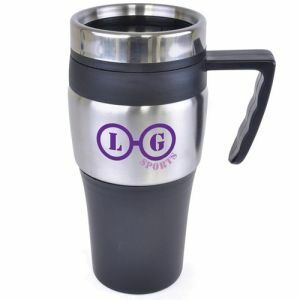 This astounding statistic makes branded metal thermal mugs a logical choice. 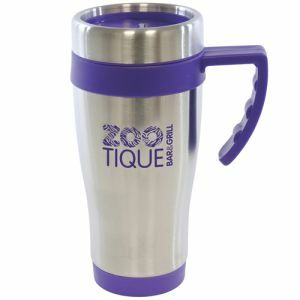 Each of these tea or coffee drinkers could be a recipient of your promotional gift, a vessel for your business logo or campaign message. 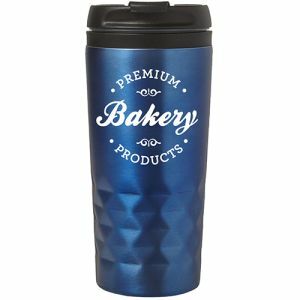 There are various styles of engraved travel mugs and choosing the right model for your promotional needs could make all the difference in branding success. 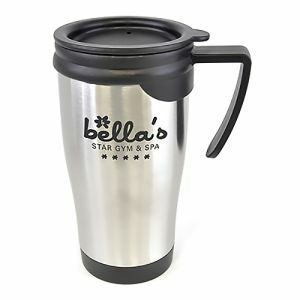 One of the most popular shapes is the double-walled metal body with plastic interior and thermal insulation, perfect for keeping your tea, coffee or soup warmer for longer. 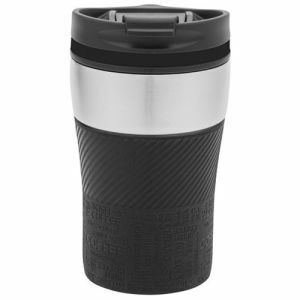 Our tried and tested customer favourite, the Kandinsky Metal Travel Mug is built in such a style, complete with a screw on lid and sliding cover for easy sipping on the move. 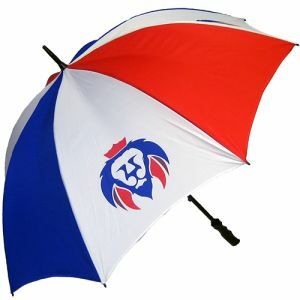 Ready for dispatch as standard from just 5 working days (subject to quantity), they are also even available from just 25 units to suit small businesses and campaign giveaways. 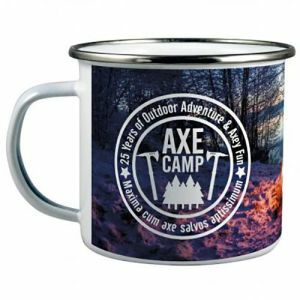 Another one of our best selling metal travel mugs is the Premium Enamel Mug, perfect for campaign and outdoor activities. 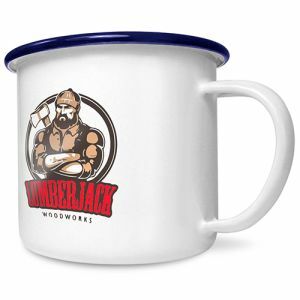 The open top design is inspired by the classic coffee cup style, but the materials, enamelware, which is porcelain fused onto heavy-gauge steel, means they are far more durable. 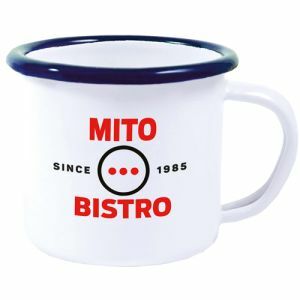 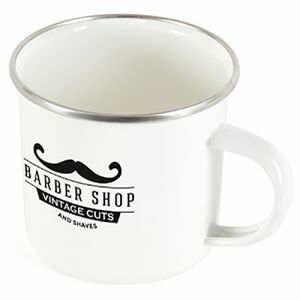 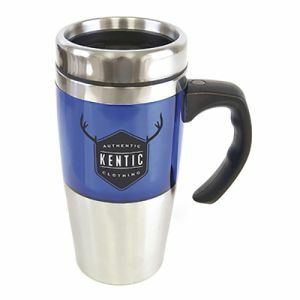 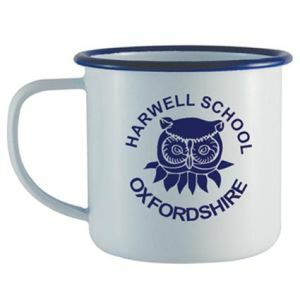 This style of metal mug also lends itself readily to businesses with employees or customers who work primarily outdoors or on busy building sites. 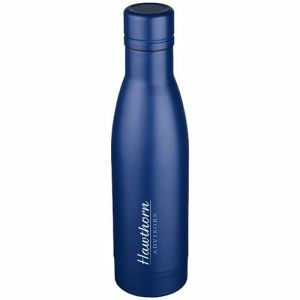 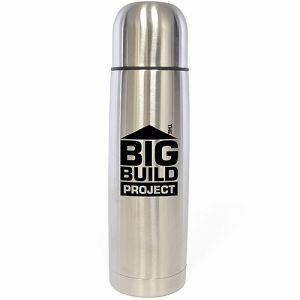 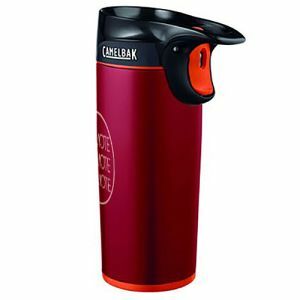 There are corporate personalised thermal mugs with and without handles, but of course one of the most recognisable shapes, made famous by the renowned branded Thermos Flask, is the insulating flask. 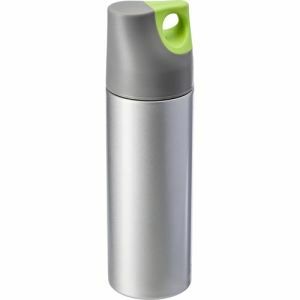 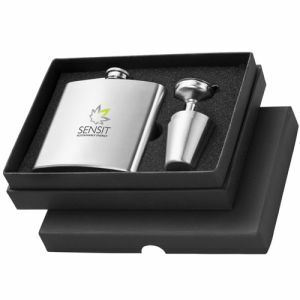 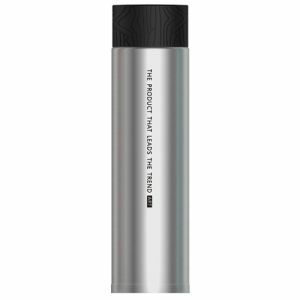 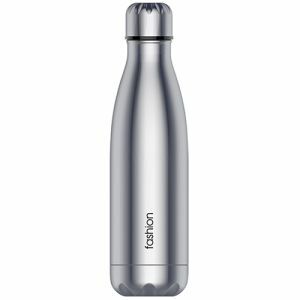 We have various products made in this style in different sizes and colours to suit you; however the most popular by far is the 500ml Stainless Steel Thermal Flask. 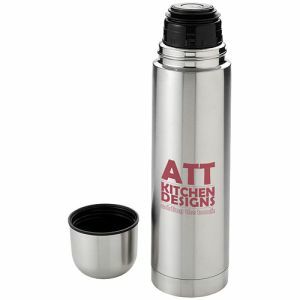 Its simple, classic shape can be adapted to promote any business, complete with a screw top lid and a cap that doubles as a cup for easier drinking. 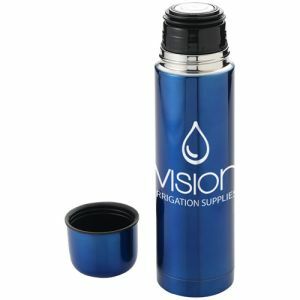 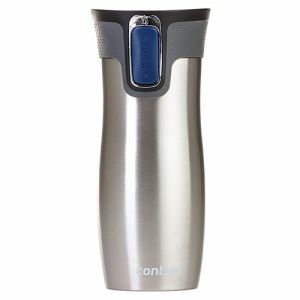 Don’t forget, all of our promotional thermal mugs and flasks can also help promote a positive eco-friendly brand reputation. 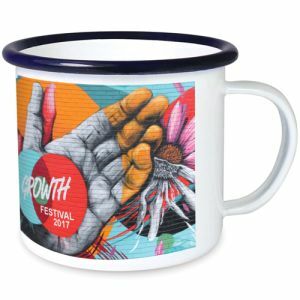 They are reusable and can be filled from home with your favourite beverage or taken to major coffee shops, rather than use a single-use, disposable paper or plastic cup. 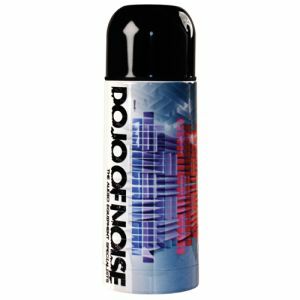 This is the way the industry is moving and so investing in such a current, practical product is a logical choice.